Mani Ratnam and A.R Rahman - The Duo Made In Heaven! This year will mark the 25th year of Mani Ratnam’s ‘Roja’ and it’s been 25 years since the whole nation, in fact the whole started grooving for A.R Rahman’s music. The journey of the Director-Music Director duo has been splendid, they continue to amaze the fans with something new every time and I bet there is no single music lover right now who doesn’t have the ‘Kaatru Veliyidai’ album in their playlist currently. We are here to try and decode the effortless magic of this combination, the task is almost impossible because we sit down to find out why they are special but the same magic puts us into trance. But, at least we will take a look at the movies, it’s music and background scores to revisit the some of the glorious moments. Before we start, this is purely from a simple music listener’s point of view, there’s no technical music analysis in the below content. We won’t get into much details about how Mani Ratnam found the musical prodigy named Dileep who later became A.R Rahman. It started with an ego clash between the producer and the music director who was initially fixed for ‘Roja’ which led to finding out a new music director. Mani Ratnam recollects Rahman playing a tune in a garage turned studio behind Rahman’s residence. The music of ‘Roja’ was a sensational hit. The leading pair, Arvind Swamy and Madhubala were at the beginning of their respective careers as well, the youthful vibe was all there throughout the film. The first half of the movie had ‘Chinna Chinna Aasai’ to introduce the free spirited Roja, ‘Rukumani’ was a never heard before wedding number and of course to kindle the chemistry between the young couple, the ever green ‘Pudhu Vellai Mazhai’. The film then dives into the serious part, which is Rishi’s (Arvind Swamy) abduction and most probably the first thing that comes into people’s mind when they hear ‘Roja’ would be ‘Kadhal Rojave’. The tune of longing had hit directly into the hearts of the listeners. 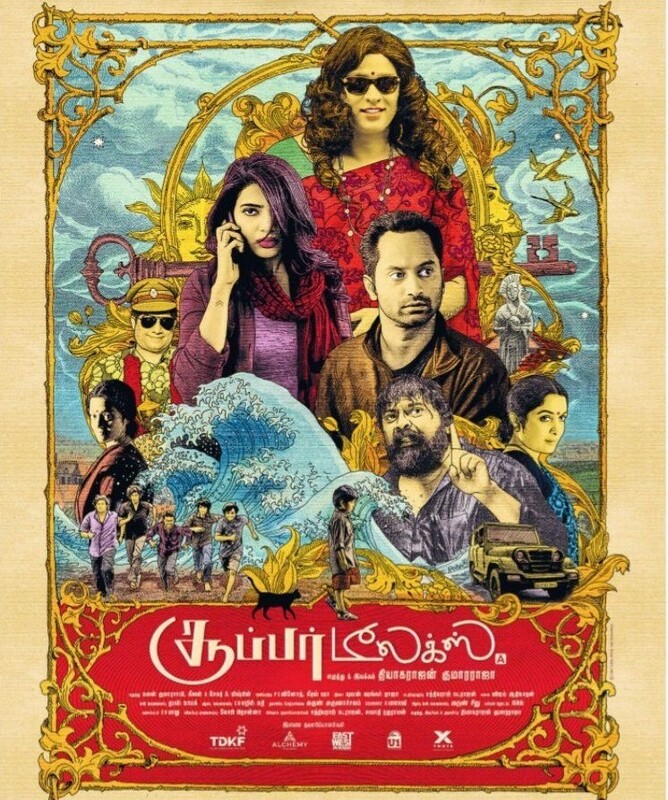 The ‘Tamizha Tamizha’ track elevated a lot of emotions. Overall the ‘Roja’ album wasn’t just a bunch of songs, each of them depicted each emotion. And that’s were Mani Ratnam becomes the master in adding songs in films, he literally uses every song to establish and convey his story. So, officially the journey had started with the massive success of ‘Roja’, Mani Ratnam proudly holds the credit of introducing A.R Rahman. Without following the chronological order, lets move to the next films. Romance has always been a part of Mani Ratnam films and Rahman has composed entirely different themes for each of these romances. Just by hearing a background score we can get an image of the couple in our minds. ‘Bombay’ has proved to be a masterpiece as ‘Uyire’ is an all time love anthem. ‘Dil Se’ had terrific background scores (also songs, of course!) , the romance between Amar (Shah Rukh Khan) and Meghna (Manisha Koirala) itself was a conflict, their emotions, conversations, angry outbursts, everything had music that made it stronger than any thing else. In films like ‘Alaipayuthey’ and ‘OK Kanmani’ which are complete love stories, Rahman had retained the youthfulness and the director proved that he is not getting aged, at least at heart! Kalpana (Aishwarya Rai) had her own music in ‘Iruvar’ that showed her wild soul and independence, especially if you notice the scene after Kalpana gets cheated by Anandan (Mohanlal) with the promise he made to marry her, she castes vote for the first time and enters his office, the background score won’t necessarily sound sad but that’s how Kalpana’s grief sounds! Aayutha Ezhuthu had three different styles of romantic music for the three major characters, ‘Yaakkai Thiri’, ‘Nenjamellam Kadhal’ and ‘Sanda Kozhi’ just gives it all away that “these are the characters”, from these songs we understand the the situations they are placed in. ‘Guru’ had the typical old school Gujarati romance that Rahman beautifully wrapped with tunes that had classical touch. All these songs had visuals that only Mani Ratnam can think of. His trademarks like the use of mirror shots, local trains, snow and rain, weddings etc. are all seen in these songs. Some songs easily say a whole part of the story and go away like ‘Evano Oruvan’ from ‘Alaipayuthe’. A.R Rahman remains the music director in all his other films but when associated with Mani Ratnam he becomes a musical story teller! The serious situation, conflict, fights and such parts are also wonderfully carried out by the duo, like in ‘Bombay’ or ‘Kannathil Muthamittal’, the movies had very powerful social messages in them, they had issues that were well known. The Hindu-Muslim conflict and the Sri Lankan war are not easy situations to play music for, when Mani Ratnam shot heart breaking visuals, Rahman had the task to let the hearts break then mend it! Iruvar’s whole political scenario mixed with friendship, mental conflicts, personal and professional rivalry needed musical accompaniment. The scene where Mohanlal speaks at Nasser’s prayer meet had the speech cut due some reasons so it had to have a music that would give the same impact of a powerful speech. Iruvar’s interval block actually matched with the audience’s heartbeat. Speaking of interval blocks, ‘Guru’s’ interval block had a total unraveling of where the story is traveling to. The biggest speciality of the scene is that it is written in a way where only after the completion of the scene, it would register to the audience that what just happened! So the interval break is a much needed one! Here, Rahman plays the bgm in three levels, the entry of Guru (Abhishek Bachchan), questions from Nanaji (Midhun Chakraborthy) that leads to the presence of Shyam (R.Madhavan) and conclusion by Guru, the ‘Gurubhai Gurubhai’ theme plays and it shows Interval on screen! The music elevates with the heat of the scene. And ‘Ravanan’ literally showed the 10 faces of the protagonist and Rahman managed to create levels of sounds for each circumstances.